- Simple and special, perfect for practice or just as a fashion accessory! 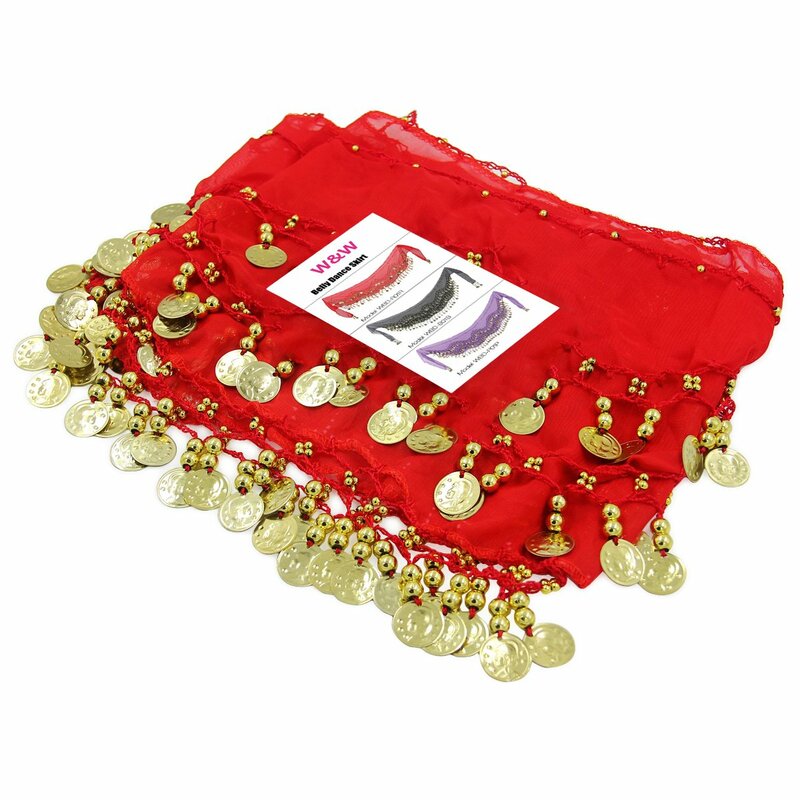 - Beautiful color Egyptian belly dancing hip wraps hand crocheted delicately with multiple rows of beads and coins. - Light weight and jingly, this scarf got all coins and beads hand stitched on highest quality rayon. 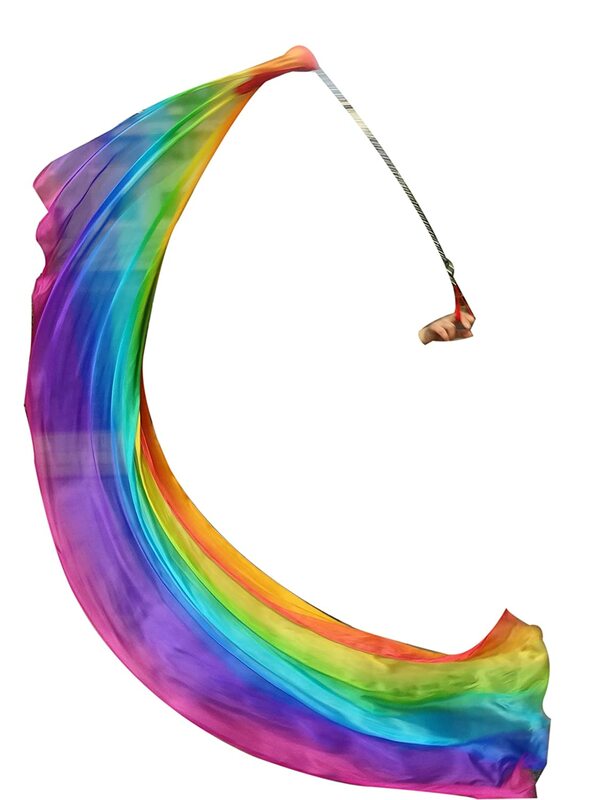 - This scarf creates loud and lovely sound when the dancers move and shakes hip. 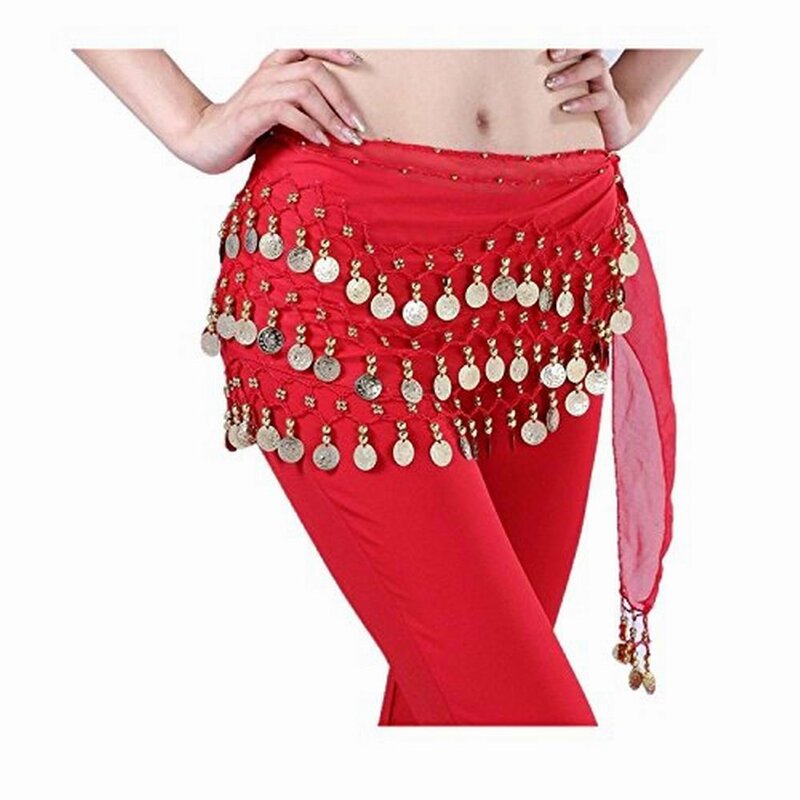 - Express your inner power, beauty and femininity in our designer belly dancing scarves, as a dancing tool, match with any outfit, shawl, head wrap etc. -Enjoy the sensuality and feel the glamor as you twirl and whirl on the dance floor or just taking a walk on the beach with this beautiful hip scarf. What I expected, will work well with my seniors group! Prefer the silver jingles. Gold looks kinda shabby. Perfect for our Family Reunion fun! These are awesome. 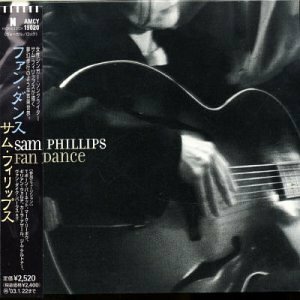 I feel like dancing!